A wedding is one of those times that you'll remember for years, and if your memory becomes fuzzy over time, there will be pictures and maybe even a video to remind you of that special day. As you're getting ready for the event, don't forget that it's about much more than putting on some fancy clothes and partying with friends. Whether you want to put your best foot forward at your own wedding or you're attending a wedding and don't want to make a mistake, you probably have some questions about proper etiquette. Even if you think you know what's appropriate and what isn't, it's still a good idea to brush up on the basics. 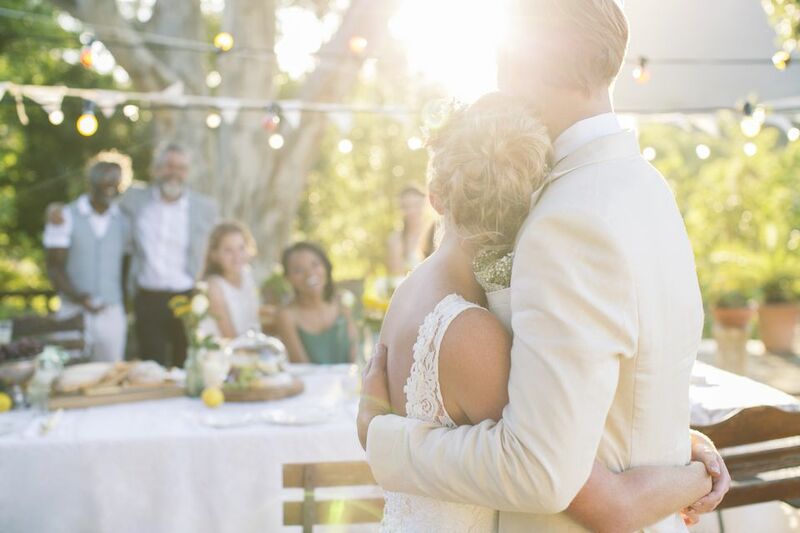 Wedding etiquette rules change, but if you are unsure of what to do, you can rely on some of the established guidelines. Who Pays for What in a Wedding? – Traditions still exist, but today’s brides and grooms are more pragmatic. Parents may pay for it, but with the cost of weddings continuing to rise, that isn't always possible. Often the bride and groom cover many of the expenses of their own wedding. What is the Proper Etiquette for the Bouquet Toss? – You’ll need to take several things into consideration, such as the number of single women at the reception, the setting, and the sensibilities of the wedding party. If the bride wants to avoid hurting the feelings of the single women, she should turn her back and toss the bouquet over her shoulder. What is the Proper Wedding Dance Etiquette? – The traditional order of the wedding dance can be modified to suit the bride and groom’s situation. How Should the Toasts be Handled? – Toasts to the happy couple are supposed to be supportive and uplifting. They may be funny, but good taste is always in order. Never say anything that wold embarrass either the bride or groom. Where Do I Sit at a Wedding? - Know where to sit if there is no usher available to assist. Traditionally, the bride's guests sit on the left facing the altar, and the groom's guests sit on the right. However, that isn't etched in stone and can vary according to the wedding couple's wishes. What Should I Wear to a Wedding? – Most wedding invitations will give you a clue about what to wear. If the invitation is white linen, and the wedding is in the evening, it will be more formal than one held earlier in the day. Do I Bring the Wedding Gift to the Wedding? – Remember that the bride and groom’s attention will be on the ceremony and each other, so be considerate and follow general etiquette rules. If possible, send the gift in advance so the couple doesn't have to worry about lugging a bunch of gifts home before they begin their honeymoon. May I Bring a Guest to the Wedding? – Be considerate of the fact that weddings and receptions are expensive. Only bring a guest if the invitation states that you may. Am I Obligated to Attend a Wedding I Don’t Approve Of? – Weddings are emotional enough without the bride or groom having to deal with added drama. If you choose to attend a wedding you're not in favor of, keep your opinions to yourself on the wedding day. Is a Gift Appropriate for a Second Wedding? – Gifts are always appropriate for any celebration. May I take pictures or video of the wedding? - With most people having a camera on their smart phone, it's likely someone will snap a photo or get a clip of at least some of the event. However, it's only appropriate if you have the bride and groom's permission. If you want to give the perfect wedding gift, it's a good idea to look at the couple's registry first. They know what they need and want to set up their household, and they've carefully selected items for that purpose. Giving them something that is not on their registry is acceptable, but it's risky. The item may be in the wrong color or something they already have. If that's the case, don't be offended if they choose to return it. Most couples also appreciate a monetary gift so they can fill in the gaps of what they don't already have but need. As soon as possible after the wedding, the bride and groom should send out thank you notes to everyone who attended and gave them a gift. Be specific about what you received and include a personal message about the item. The note doesn't need to be long, and it should be handwritten.